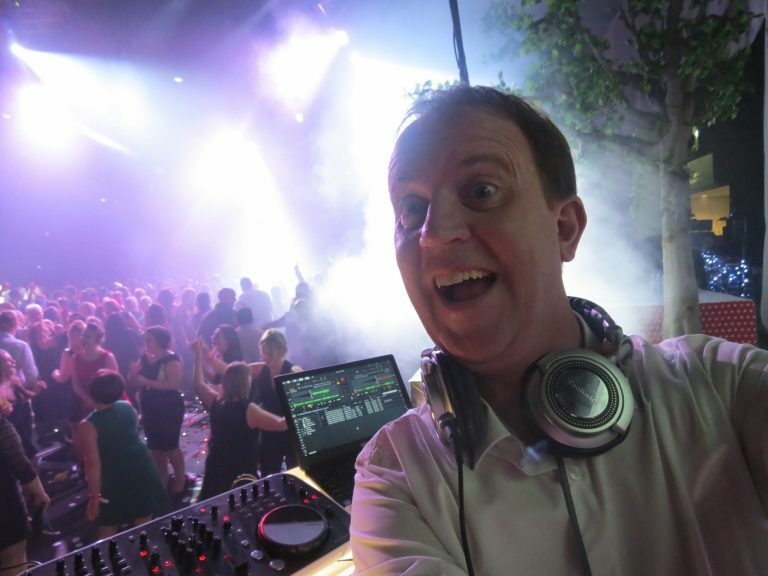 Having been a DJ in a huge selection of leading venues over the years playing all styles of music, Jules Little is a DJ with a wealth of experience. Playing at the famous Crazy Horse in it’s heyday, he was resident DJ when it won “Midlands Nightclub Of The Year” in 1991 & 1992, later in his career Jules went on to become the resident DJ for Brannigans on Birmingham’s famous Broad Street staying there for 5 years before moving onto Blackpool, and then Chester. More recently he has concentrated on his speciality, the 1980’s & 1990’s playing for Butlins Live Music Weekends at their sites across the UK. 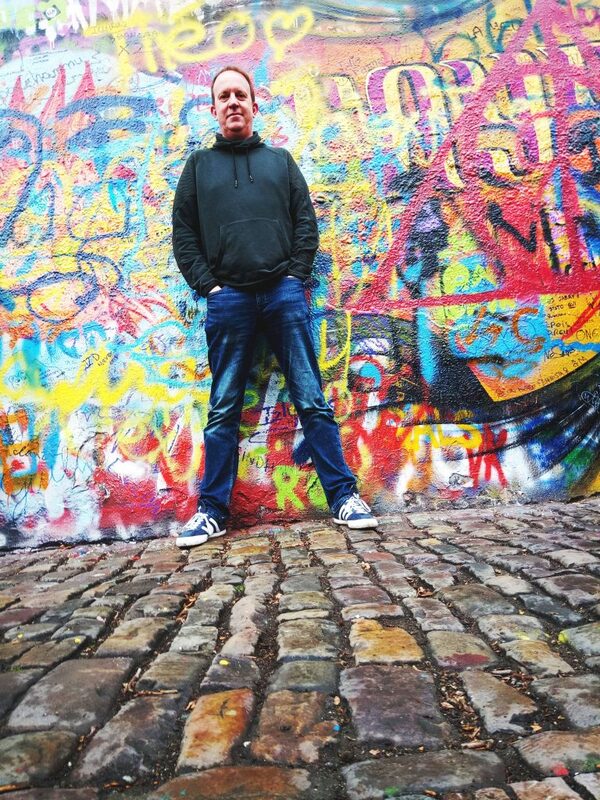 Now based in the Czech Repubic, he is ideally placed to play at short notice to any European destination. Jules was selected to perform regularly at Butlins Live Music Weekends for Absolute Radio 80’s, during these fantastic events he has been fortunate enough to share the stage with such legends as the Thompson Twins, Tony Hadley, Jason Donovan, OMD, Heaven 17, ABC & many, many more. Drawing on his extensive musical knowledge & stage presence for these weekend breaks, Jules is always a crowd pleaser. He even has his followers to these big weekend parties. 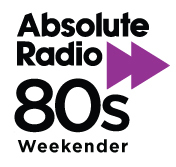 For more information about these awesome events that Jules’ is appearing at or to book on either the Vintage TV or Absolute Radio 80s Weekenders please click the relevant logo above to be taken to the booking website! Skegness, April 2018 when Nathan Moore of Brother Beyond & Worlds Apart drags Jules on stage in front of 2500 people! Jules is now a proud member of the Mastermix family, alongside such huge names as Jive Bunny. You can hear the hours of dedication in each and every mix, gathering from his vast experience in DJing and performing for large audiences across Europe. You can book Jules exclusively for your event through Vision Talent who can also assist you with booking your household names for your event, just click thier Logo above to be taken to their website. 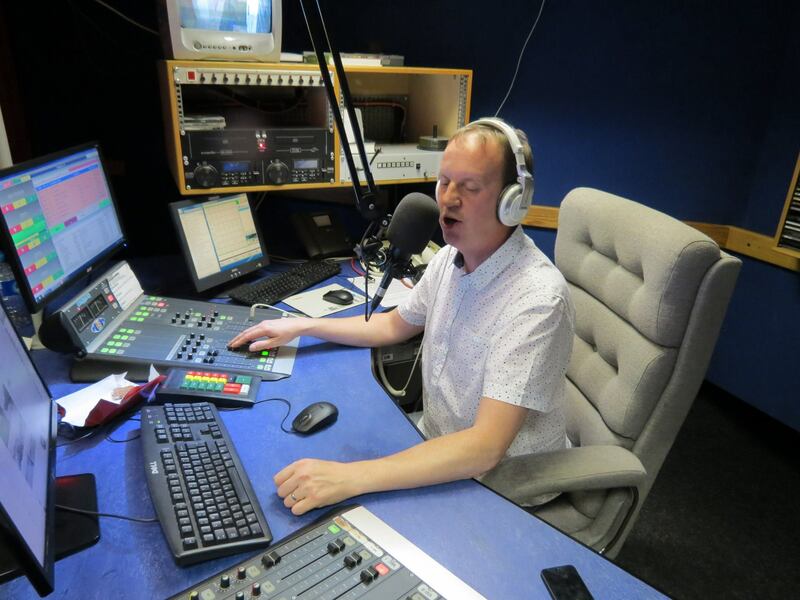 Having fallen in love with radio in his early years, being a presenter was always a dream to be realised. It took until 2003 before this came to the fore. Like many before him, he started in the best place, Hospital Radio, namely Anker Radio in Nuneaton. Around 2007 Jules was asked to present a dance show on Ashby Radio. This lead to an online station asking of they could air that show also, followed by another couple of online stations asking the same a week after. Within 4 weeks the show was being aired on 2 FM stations in the UK, 4 online stations in the UK, and a further FM station in Spain. Global Dancefloor was born. Over a period of 5 years a total of 120 stations from the UK to Australia were airing the 2 hours of funky & disco house that Global Dancefloor became. Guests included Boy George, David Dunne, Jon Fitz, Seamus Haji, K-Klass, & the man behind both Hed Kandi & Fierce Angel – Mark Doyle. After a run of 5 years Jules brought the curtain down on Global Dancefloor & was asked to present a new 2 hour weekly show for Mjuzieek Digital Records group of labels, showcasing the labels roster of artists & tracks over a 2 year period from 2013 to 2015 airing on 50 stations worldwide.